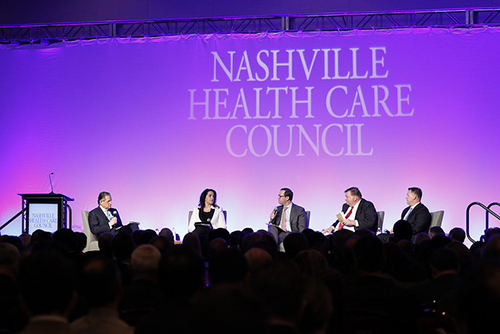 The day before Donald J. Trump was sworn in as the 45th president of the United States, the Nashville Health Care Council welcomed 650 members to hear top investment analysts discuss 2017 predictions for the healthcare industry at the annual "Wall Street's View on Prospects for the Health Care Industry" program. The discussion was moderated by Wayne T. Smith, chairman and CEO, Community Health Systems, and included Whit Mayo, managing director, Robert W. Baird; A.J. 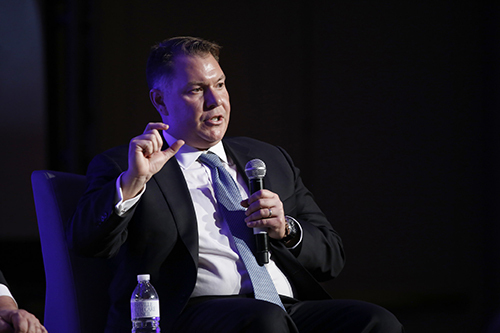 Rice, managing director, UBS; Chris Rigg, senior managed care and healthcare facilities analyst, Deutsche Bank; and Paula Torch, senior research analyst, Avondale Partners. With questions about the Affordable Care Act looming large, Trump's priorities for his first 100 days and the Republicans' promise of "repeal and replace" served as an underlying theme for the discussion. Within days of the inauguration, both Trump and Congress had taken first steps to pave the way for repeal, while the 'when' and 'how' to replace remained unclear. "The next couple of weeks are probably the worst time to try to make predictions of what is going to happen in the market. My sense is that they are pushing to give more healthcare control back to states. It is unclear exactly how this is going to play out, but change won't happen overnight," Rigg said. "Regardless, healthcare companies have to figure out how to do more for less." 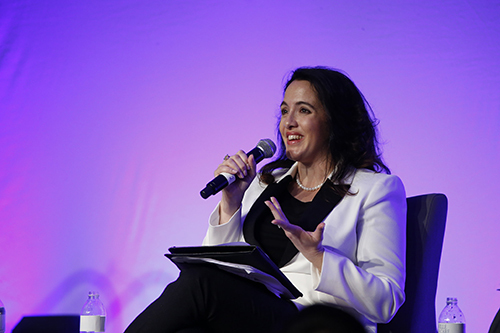 The analysts offered perspectives on a variety of sectors, including healthcare facilities, behavioral health, outpatient services, managed care, home care and more. The analysts identified HCA, Acadia, United Health Group and Envision Healthcare as specific companies to watch in 2017. They also agreed industry sectors that are not particularly sensitive to decisions related to ACA repeal and replace are the ones more likely to grow in 2017. "There will be outperformance in areas that are a little more immune to the ACA decisions, including behavioral healthcare," said Torch. "Many sub-sectors of behavioral health, including companies that serve those with intellectual disabilities, eating disorders and opioid addiction, are poised for growth," he continued. "The election threw us a curve ball, but there are some pockets of opportunity. The areas of ambulatory services and physician practice management will see growth moving forward," Mayo predicted. 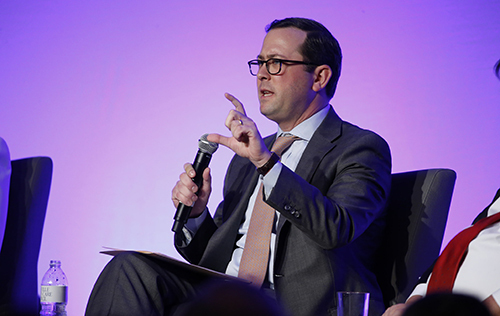 The panel discussed the effects of industry trends on the market, including M&A activity, consumerism, value-based purchasing and emerging technology. "When it comes to M&A, it used to be the little guy merging with the big guy, or two big guys merging together. But now, we see more untraditional partnerships, more vertical collaborations," Rice said. "Companies are looking to partner with others who can help them take the next step and increase efficiency, whether that's revenue cycle management or understanding patient behavior." Trends on Wall Street have a direct impact on the Nashville MSA as the are is headquarters to 18 publicly traded healthcare companies, which employ 500,000 people throughout the world and see $78 billion in annual revenue. 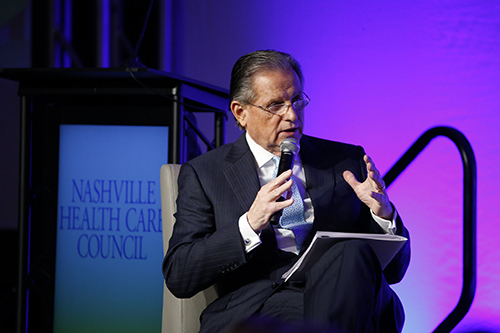 "There is no other health =care community like Nashville, and many of the people in this room today are developing solutions that will improve healthcare in the years to come," Smith said. "We are thankful to the Council for bringing us all together to learn and connect with one another."